Across the board, kids are spending a record amount of time indoors, at school, texting from the mall, reading, or watching TV with little or no connection to the natural world. These kids may be consumer-society casualties newly diagnosed with nature-deficit disorder, a term coined by Richard Louv, in his book Last Child in the Woods. Have a listen to hear about outdoor education programs for kids. Listen to a Good Dirt Radio 5-minute eco-spot on eco-ed. 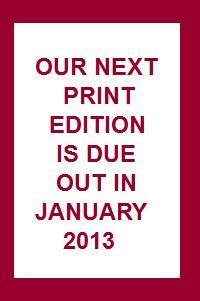 Locate resources and information on this topic. Welcome to Good Dirt Radio, reporting on positive solutions taking root. Across the board, kids are spending a record amount of time indoors at school, texting from the mall, reading, or watching TV with little or no connection to the natural world. 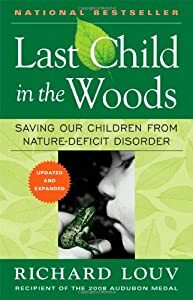 These kids may be consumer-society casualties newly diagnosed with nature-deficit disorder, a term coined by Richard Louv, in his book Last Child in the Woods. Educators have long known that cultural change starts with children. They know that ‘place-based, hands-on learning’ is an affective tool in getting kids involved with nature at an early age. Proponents say kids naturally ‘get’ the beauty of Earth and once they feel connected to it, they’re more likely to care for the planet and be smarter adult consumers promoting sustainable lifestyles. The good news here is that there are widespread public and privately funded outdoor education opportunities for kids of all ages from proven programs like Outward Bound and NOLS to local school and community based groups. Linda Heidenreich is a geologist living in Jerome, AZ who teaches for the local Enviro Trek earth science and outdoor education program run by Yavapai Community College. She describes her goals. Heidenreich: To encourage and an appreciation and respect for planet Earth in children 5 through 12 years old. We explore our local geology, biology, water issues, alternative energy issues through field trips on public transport. And our goals are simple: teamwork, field safety, respect, individual responsibility and development of observational skills to acquire knowledge so that their future may become one of stewardship of planet Earth. Heidenreich says teaching out of the classroom is vital. Heidenreich: I see that kids need this and for them to bond with nature, with the earth and to realize the importance of becoming stewards of the earth, it has to be achieved by field trips, adding them to the curriculum. Lawyer and biologist Will Barnes, from Santa Fe, NM, was looking for a more meaningful career. He went back to school and now teaches Project Preserve, an outdoor education, place based, science curriculum, at the Santa Fe Girls School, a very popular non-profit. His students manage and are restoring habitat on the Santa Fe River. Barnes: They’re working with other community members to figure out how do we restore this river to its natural functioning capacity, how do we bring habitat back and the animals and birds that naturally live there, how do we improve water quality. And so they’re learning about water cycles and conservation and how we use our water and they’re getting all of the sustainability issues. They’ll come out with a true understanding of what it means to live in a community with environmental issues and to work with lots of different people to promote environmental sustainability. Kasey Errico teaches at the Ridge and Valley Charter School in Blairstown, New Jersey. She teaches kids that their individual choices matter. Errico: Well we really try to work with them right in the natural world so that the world around them is their classroom. That can be out on the grounds of our school where we have a meadow and we have a greenhouse and a garden and we compost, there can be going down a short hike into the forest, there’s a stream and a river that we can also study and learn from that ecosystem. So we’re trying to work with building a sense of place and we really don’t look at nature as something separate. We really see that we are not the story, we are part of the story. So we’re trying to have the children know that their choices have impact. Barnes: It’s the most fun teaching imaginable, getting kids outside. And they become so resourceful. We had a girl last year planting cottonwood trees and we had the augers and they’re trying to get the cobble out of the ground. And I turned my back to go do something and came back and found her up to her hip with her leg in the hole pulling rocks out with her toes because it was the best way to do it. And, she had this huge grin on her face. So they are covering themselves in this environment and learning about it through the skin, which is, to me, just the key to changing our world. If your school is not already teaching kids about natural systems and ecology, we urge you to get involved by asking teachers and administrators to include these concepts and field trips in their curriculums. Schools are like democracies—they work best when people get involved. Consider finding your passion for a healthy world and find ways to take action… in your world.